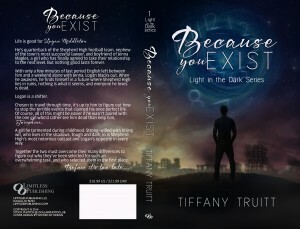 Today I’m excited to participate in Tiffany Truitt’s cover reveal for her amazing new YA novel, BECAUSE YOU EXIST. Life is good for LOGAN MIDDLETON. He’s quarterback of the Shepherd High football team, nephew of the town’s most successful lawyer, and boyfriend of Jenna Maples, a girl who has finally agreed to take their relationship to the next level. But nothing good lasts forever. With only a few minutes of last period English left between him and a weekend alone with Jenna, Logan blacks out. When he awakens, he finds himself in a future where Shepherd High lies in ruins, nothing is what it seems, and everyone he loves is dead. 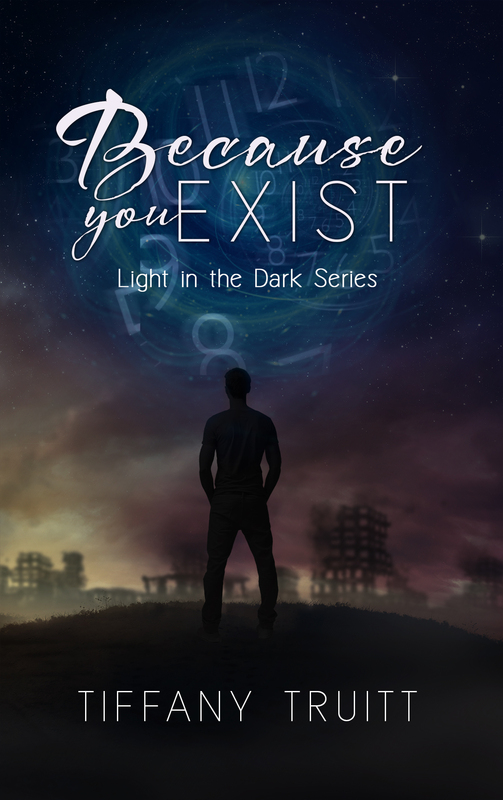 Chosen to travel through time, it’s up to him to figure out how to stop the terrible events that claimed his once perfect life. Of course, all of this might be easier if he wasn’t paired with the one girl who’d rather see him dead than help him, JOSEPHINE. A girl he tormented during childhood. Strong-willed with biting wit, who lives in the shadows. Tough and dark, Jo is Shepherd High’s most notorious outcast and Logan’s opposite in every way. 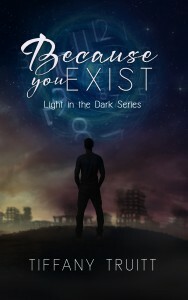 Together the two must overcome their many differences to figure out why they’ve been selected for such an overwhelming task, and who selected them in the first place.